This tutorial was written by SpiceAng on July 31st, 2014. Any resemblance to any other tutorials is purely coincidental! You may not copy/paste any part of my tuts elsewhere, but you may text link to them for challenges etc! Copy & Paste to layer just below both tube layers. Resize & Position to fit the bottom right corner of tube layer or to your desire. Then move one of the tube layers under this element and use your eraser on to tube layer. Then once you have the top tube layer then erase your bottom tube layer so it looks as if the tube is suppose to be in the frame as I have done. Copy & Paste to layer just below frame layer. Resize & Position to center. Copy & Paste to layer just below tube layer. Resize & Position off to right side center as I have done or to your likes. (Duplicate) Flip Horizontal ctrl+M and move to other side to match as I have done. Copy & Paste to layer just above tube layer.. Resize & Position to bottom center of canvas. Copy & Paste to layer just below tube layer. Resize & Position Rotate and add to center left side of your work or as you wish. Copy & Paste to layer just below fence layer. Resize & Poissition to left side of your work. Copy & Paste to layer just above bottom layer. Resize & Position to bottom center as I have or as you wish. Copy & Paste to layer above last action layer. Resize & Position to bottom center then Flip Horizontal ctrl+M. Copy & Paste to layer just below tube layer. Resize & Position to top center and Flip Vertical ctrl+I. Copy & Paste to layer just above fence layer. Resize & Position to center of fence as I have done or as you wish. Copy& Paste down 2 layers from 1 tube layer. Resize & Position to top of your work as I have done or as you wish. Copy & Paste to top layer. Resize & Position to bottom right as I have done or add to your desire. Flip Horizontal ctrl+M if you wish as I have here. Copy & Paste to top layer. Resize & Position to top left corner. Copy & Paste to layer just below top layer. Resize & Position to top left side corner. This tutorial was written by SpiceAng on July 30th, 2014. Any resemblance to any other tutorials is purely coincidental! You may not copy/paste any part of my tuts elsewhere, but you may text link to them for challenges etc! 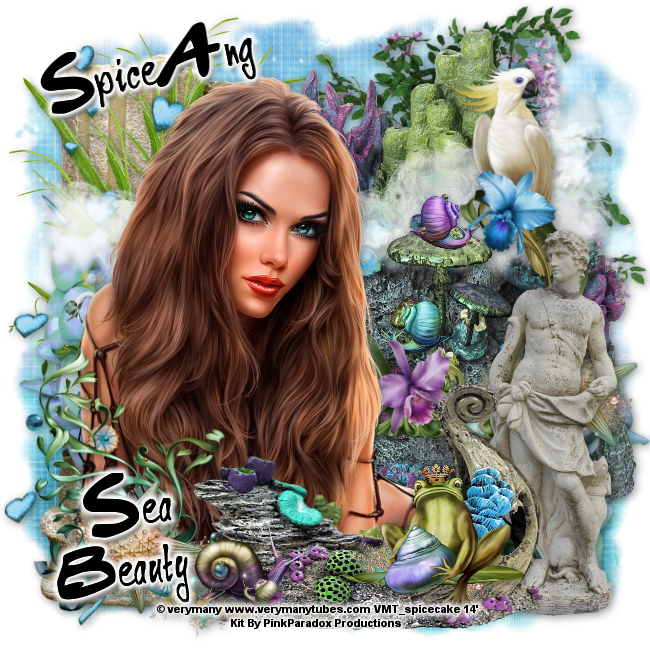 **New CT Tag** Scrap Kit of choice, I am using a PTU Scrapkit called *Sea Of Enchantment* By PinkParadox Productions. Copy & Paste to top layer. Resize & Position to right side bottom of tube layer or your liking. Flip Horizontal ctrl+M. Copy& Paste to layer just above tube layer. Resize & Position to your likes. I added mine off to the left bottom of the tube layer. Copy& Paste to bottom layer. Resize & Position off to left top of tube layer. Copy & Paste to layer just above bottom layer. Resize & Position off to left side or where you like. Copy & Paste to top layer. Resize & Position just a little off to the left side as I have done or to your desire. Copy & Paste to layer just above bottom layer. Resize & Position off to the right side as I have done or to your desire. Copy & Paste to layer just below statue layer. Resize & Position off to left side up toward the top. Copy & Paste to top layer.Resize & Position to bottom center of your work or as you wish. Copy & Paste to bottom layer . Resize & Position to upper right top or as you wish. Copy & Paste to bottom layer. Resize & Position to upper right top again or as you wish. Copy & Paste to bottom layer. Resize & Position to left side of your work. Flip Horizontal ctrl+M as I have or as you see fit. Copy& Paste to layer just above bottom layer.. Resize & Position to the upper right side or as you wish. Copy & Paste to layer just below snails layer. Resize & Position Rotate is you wish as I have. This tutorial was written by SpiceAng on July 29th, 2014. Any resemblance to any other tutorials is purely coincidental! You may not copy/paste any part of my tuts elsewhere, but you may text link to them for challenges etc! Copy & Paste to layer just above tube layer. Resize & Position to fit the bottom right corner of tube layer or to your desire. Copy & Paste to top layer. Resize & Position to center. Copy & Paste to layer just below tube layer. Resize & Position off to right side center. Copy & Paste to layer just above tube layer.. Resize & Position to bottom right side of canvas. Copy & Paste to layer just below tube layer. Resize & Position Rotate and add to center right side of your work or as you wish. (Duplicate) Flip Horizontal ctrl+M and resize and arrange to your liking. Copy & Paste to bottom layer. Resize & Poissition to left side of your work. I then Flipped it Horizontal by pressing ctrl+M. Copy & Paste to layer just below frame layer. Resize & Position just a little off to left of tube. Flip Horizontal ctrl+M. Copy & Paste to layer just above SeaStar 112 layer.Resize & Position off to right lower corner. Copy & Paste to layer just above SeaStar 44 layer. Resize & Position off to left bottom of tube layer as you wish. Copy & Paste to layer just below SeaStar 91 layer. Resize & Position to left side bottom of your work. Copy& Paste to layer just below tube layer. Resize & Position of to left bottom of your work or as you wish. Copy & Paste to top layer. Resize & Position to bottom left as I have done or add to your desire. Copy & Paste to layer just above tower layer. Resize & Position to left side center. This tutorial was written by SpiceAng on July 28th, 2014. Any resemblance to any other tutorials is purely coincidental! You may not copy/paste any part of my tuts elsewhere, but you may text link to them for challenges etc! Bailey is a match for the ever-so-cool Bailey tube by Spazz! It is a emo/skater kit, in shades of rose, aqua, blue, black, and white. It has 105 elements, 5 frames, and 10 papers, including a cookie wordart! You can find her beautiful kit in each of these stores. Copy& Paste to top layer. Resize & Position to the right bottom corner or as you wish. Copy & Paste to layer just below tube layer. Resize & Position as you see fit. Copy & Paste to layer just above frame layers. Resize & Position to fit the table as I have done or as you wish. Copy & Paste to layer above el 43 layer. Resize & Position as I have done or to your liking. Copy & Paste to bottom layer Resize & Position to center it with your canvas as I have done or as you wish. Copy & Paste to layer just below tube layer. Resize & Position off to left side up in the corner as I have or as you wish. Copy & Paste to layer just above bottom layer. Resize & Position to center of canvas as I have done or place as you wish. Copy & Paste to layer just below stop sign layer. Resize & Position off to left side of tube layer. (Duplicate) to make darker as I have or do as you wish. Copy & Paste to layer just above bottom layer. Resize & Position to upper right corner. (Duplicate x2) Resize and Position as I have done or as you wish. Copy & Paste to layer just above the frame layer. Resize & Position to upper part of you back layer as I have done. (Duplicate) Flip Horizontal ctrl+M and over to other side to look like a mirrow image. This layer you will need to move down below stop sign layer. Copy & Paste to layer just above el 67 layers. Resize & Postion to center of the top back layer. With your eraser erase the bottom so you only have the start as I have. ( Duplicate x2) move one to left and other to right top corners as I have done. Then add mask of choice. This tutorial was written by SpiceAng on July 25th, 2014. Any resemblance to any other tutorials is purely coincidental! You may not copy/paste any part of my tuts elsewhere, but you may text link to them for challenges etc! to match Spazz's gorgeous Xira tube - Purple, Blue and hints of Pink. Copy & Paste to your canvas to the center or to your taste. Copy &Paste to bottom layer. Resize & Position off to left side to look as if tube is sitting on the rock layer or to your desire. Copy& Paste to top layer.Resize & Position so it looks as if it is cover some of the rock layer as I have done or do as you wish. (Duplicate) and move to your desire. Copy & Paste to layer just above rock layer. Resize & Position to your desire. Copy & Paste to layer 2 down from tube layer. Resize & Position to your likes. Copy & Paste to top layer. Resize & Position to fit infront of treasure layer. (Duplicate) Flip Horizontal by pressing ctrl+M and move over by your rock layer and position as you wish. Copy & Paste to layer below tube layer. Resize & Position just in from of treasure layer or as you wish. Copy & Paste to bottom layer. Resize & Position (Duplicate) Flip Horizontal by pressing ctrl+M move over to oppisite side like a mirrow image. Then Flip Vertical by pressing ctrl+I with both of these layers. Copy & Paste to layer just below tube layer. Resize & Position as you wish. Copy & Paste to layer 3 below tube layer. Resize & Position as you desire. Copy & Paste to layer just below your blue flower over by rock layer. Resize & Postion to fit as I have done or as you wish. (Duplicate) resize Flip Horizontal by pressing ctrl+M and position as I have or as you wish. Copy & Paste above your back layers. Resize & Position then Flip Horizontal ctrl+M and position as you wish. Copy & Paste to layer just above X 7 layer. Resize & Position to your likes. Copy & Paste to layer just above X 27 layer. Resize & Position as you wish. Copy & Paste to layer 2 above bottom layer. Resize & Position as you wish. To lighten your work art go over to layers and adjust your Opicity to 50. Duplicate as many times as you wish. I ended up working with 4. Copy & Paste to very bottom layer. Resize & Position move to top. Flip Horizontal ctrl+M if you wish as I have done. This tutorial was written by SpiceAng on July 24th, 2014. Any resemblance to any other tutorials is purely coincidental! You may not copy/paste any part of my tuts elsewhere, but you may text link to them for challenges etc! Copy &Paste to bottom of canvas Resize & Position Rotate as I have in center of canvas. If you wish you can do Flip Vertical by pressing ctrl+I. Copy & Paste to layer just below tube layer Resize & Position to fit the bottom left corner of tube layer as if she is sitting on it. Copy & Paste to layer just below tube layer. Resize & Position to right center. (Duplicate) Flip Horizontal by pressing ctrl+M and move to left side and match to other side. Copy & Paste to layer just below tube layer. Resize & Position off to left side center. (Duplicate) Flip Horizontal by pressing ctrl+M and move to right side to match. Copy & Paste to bottom layer. Resize & Position to bottom of canvas. (Duplicate x2) move over to middle then next layer move over to match your first origanal layer. Copy & Paste to layer just above our last actions. Resize & Position Rotate and add to bottom of your work as I have done or to your taste. Copy & Paste to layer just below tube layer. Resize & Poissition to center of your work. I then Flipped it Vertical by pressing ctrl+I. Copy & Paste to layer just below tube layer. Resize & Position just a little off to right from tube. Copy & Paste to layer just below tube layer.Resize & Position off to right lower corner. Copy & Paste to layer just below word element. Resize & Position off to right bottom of tube layer as you wish. I Flipped Horizontal by pressing ctrl+M. Copy & Paste to layer just below bottom layer. Resize & Position to center of your work. This tutorial was written by SpiceAng on July 23rd, 2014. Any resemblance to any other tutorials is purely coincidental! You may not copy/paste any part of my tuts elsewhere, but you may text link to them for challenges etc! This gorgeous PTU Tube can be purchased here. Angels song is made to match "Audrey" by Spazz. Copy & Paste Resize & Position in center of canvas. Copy &Paste to the bottom of canvas Resize & Position to bottom center to your desire. Copy & Paste to bottom layer. Resize, Position, Flip Horizontal by pressing ctrl+M move to left side of your tube and arrange to your taste. Copy & Paste to layer just below tube off to left side. Resize & Position as I have done to upper corner or to your desire. Copy & Paste to bottom layer. Resize & Position Rotate and Flip Vertical as I have done or to your taste. Copy & Paste to layer just above the music paper element. Resize & Position off to your liking I rotated mine some. Copy & Paste to top layer.Resize & Position to left lower corner of your work or as you wish. Copy & Paste to bottom layer.Resize & Poissition off to the right side of your tube or to your taste. Copy & Paste to bottom layer and off to the right side of your tube as we just did with last element. Resize & Position to your liking. Copy & Paste to bottom layer. Resize & Position to your desire. Copy & Paste to layer just below tube down on right bottom corner. Resize & Position to your taste. Copy & Paste to very bottom layer. Resize & Position off to right bottom to fit behind our little angel layer as I have done or add as you wish. Copy & Paste to very top layer. Resize & Position off to right bottom to your taste. Copy & Paste to layer just above tube layer. Resize & Position off to right bottom to look like it is in front of Angel layer. Or add as you desire. Copy & Paste to very bottom layer. Resize & Position off to right side of tube. Copy & Paste to layer just below tube layer. (Duplicate) Use your eraser to erase the word love and add that layer off to right side of tube. On the other layer use the erasrer to erase the work Moments move to left side of tube. 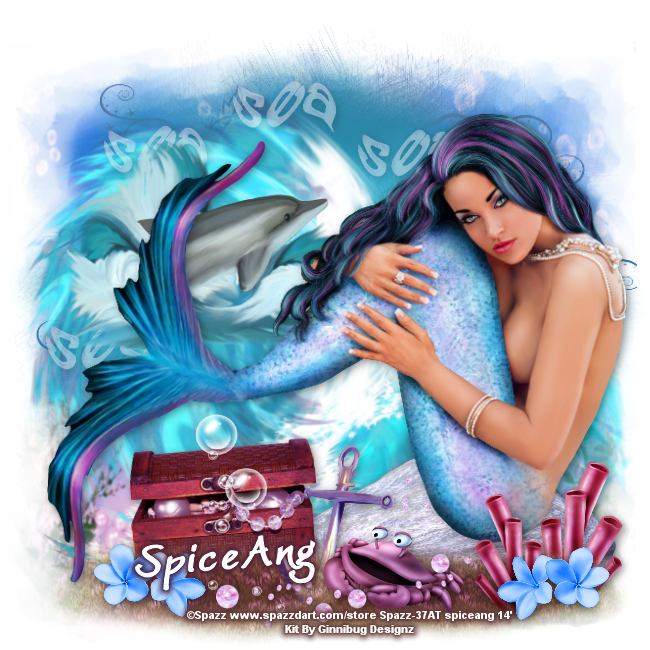 This tutorial was written by SpiceAng on July 22nd, 2014. Any resemblance to any other tutorials is purely coincidental! You may not copy/paste any part of my tuts elsewhere, but you may text link to them for challenges etc! Copy & Paste to bottom layer Resize & Position to center of tube layer or your liking. Copy& Paste to top layer. Resize & Position to your likes. I added mine off to the left bottom of the tube layer. (Duplicate) Flip Vertical by pressing ctrl+M and move to right bottom to match. Copy& Paste to top layer. Resize & Postition off to left bottom of tube layer. (Duplicate) Flip Vertical by pressing ctrl+M and move to right bottom to match. Copy & Paste to top layer. Resize & Position off to left side or where you like. Copy & Paster to layer just below tube layer . Resize & Position off to the left side as I have done or to your desire. Copy & Paste to layer just below tube layer. Resize & Position off to the right side as I have done or to your desire. Copy & Paste to top layer. Resize & Position off to right side down toward the bottom. Copy & Paste to top layer.Resize & Position to center of tube layer. Copy & Paste to top layer . Resize & Position to your liking. Copy & Paste to layer just above frame layer. Resize & Position Flip Horizontal by pressing ctrl+I off to left side of your tube. Arrange to your desire. Copy & Paste to layer just above frame layer. Resize & Position to center of your canvas. Copy& Paste to layer just below card like layer. Resize & Position Flip Vertical by pressing ctrl+M and place to your liking. Copy & Paste to layer 2 layers from very bottom layer. Resize & Position Rotate is you wish as I have. (Duplicate) Flip Vertical by pressing ctrl+M and over to other side and position to your desire. Copy & Paste to layer just above Element 101. Resize & Position to right side and place to your desire. Copy & Paste to very bottom layer. Resize & Position to left upper as you desire. This tutorial was written by SpiceAng on July 19th, 2014. Any resemblance to any other tutorials is purely coincidental! You may not copy/paste any part of my tuts elsewhere, but you may text link to them for challenges etc! At The Hop is a fun 50's diner themed kit! It has all sorts of goodies, burger, hot dog, fries, chips, cola, milkshakes, car, jukebox, vinyly records, letterman jacket, saddle shoes, and so much more! It has 95 elements, 4 frames, and 7 papers! Copy & Paste to center of your canvas. Resize & Position off to the right side some. Copy &Paste Resize & Position to bottom off to the left of center just a little or to your liking. Copy& Paste below tube layer. Resize & Position to the center of table or to your liking. Copy & Paste to layer just above table layer. Resize & Position to your liking on the table as I have done. Copy & Paste to layer just above table layer. Resize & Position to fit the table as I have done are to your liking. Copy & Paste to layer below napkin holder layer Resize & Position as I have done or to your liking. Copy & Paste to bottom layer Resize & Position off to right side and center it with your table layer as I have done or as you wish. Copy & Paste to layer just above window layer. Resize & Position off to right side up in the corner of window or as you wish. Copy & Paste to layer just above window layer. Resize & Position to center of window as I have done or place as you wish. Copy & Paste to layer just above table layer. Resize & Position toward the center of table as I have done or as you wish. Copy & Paste to layer just above purse layer. Flip Verical by pressing ctrl+M then Resize & Position Rotate to your taste. Copy & Paste to very bottom layer. Resize & Position Rotate to your likings if you desire as I have mine. Copy & Paste to layer just above window layer. Resize & Postion to look like it is under the first record as I have done or to your taste. Copy & Paste to layer just above your two other record layers. Resize & Postion to fit your taste. Copy & Paste to layer Just behind tube layer. Resize & Position to the bottom left corner as I have done or to your taste. Copy & Paste to layer just before mask layer. Resize & Position to fit to bottom of mask as I have done or as you wish. Copy & Paste to layer just above jukebox layer. Resize & Position to fit the background as I have done or to you taste. Copy & Paste to layer just above jukebox layer. Resize & Position to fit the upper part of your mask layer. (Duplicate) and Flip Vertical by pressing ctrl+M and arrange to your taste. Copy & Paste to layer just above mask layer. Resize & Position to fit the lower part of your mask layer or as you wish. Copy & Paste to layer just above ATH El 79. Resize & Position to fit the lower part of your mask layer as we just did again. (Duplicate x2) and add as you wish. Copy & Paste to layer just below purse layer. Resize & Position to make the letter look like it is behind purse layer or to your taste. This tutorial was written by SpiceAng on July 18th, 2014. Any resemblance to any other tutorials is purely coincidental! You may not copy/paste any part of my tuts elsewhere, but you may text link to them for challenges etc! Copy &Paste to bottom of canvas Resize & Position Rotate as I have in center of canvas. Copy & Paste to layer just below tube layer Resize & Position to fit the top left corner of frame layer. Copy & Paste to layer just below tube layer. Resize & Position to right bottom corner of frame layer. Copy & Paste to layer just below tube layer. Resize & Position off to left side more to top of frame. Copy & Paste to layer 2 below tube layer. Resize & Position off to right bottom corner of frame layer. Copy & Paste to layer just above tube layer. Resize & Poissition off to Right bottom side as you like. Copy & Paste to layer just above tube layer. Resize & Position just a little off to left from center. Copy & Paste to very bottom layer.Resize & Position off to right upper side of frame layer. Copy & Paste to very bottom layer. Resize & Position off to left bottom of frame layer as you wish. Copy & Paste to layer just below tube layer. Resize & Position off to right side upper part of frame. (Duplicate) Flip Vertical by pressing ctrl+M and move to left side and place it to your liking. Copy & Paste to layer just above frame layer . Resize, Rotate & Position to rightupper corner. Copy & Paste to layer just above frame layer. Resize & Position to left side to bottom of tube. Copy & Paste to top layer. Resize & Position to left lower corner. Copy & Paste to bottom layer. Resize to fit canvas layer. This tutorial was written by SpiceAng on July 16th, 2014. Any resemblance to any other tutorials is purely coincidental! You may not copy/paste any part of my tuts elsewhere, but you may text link to them for challenges etc! 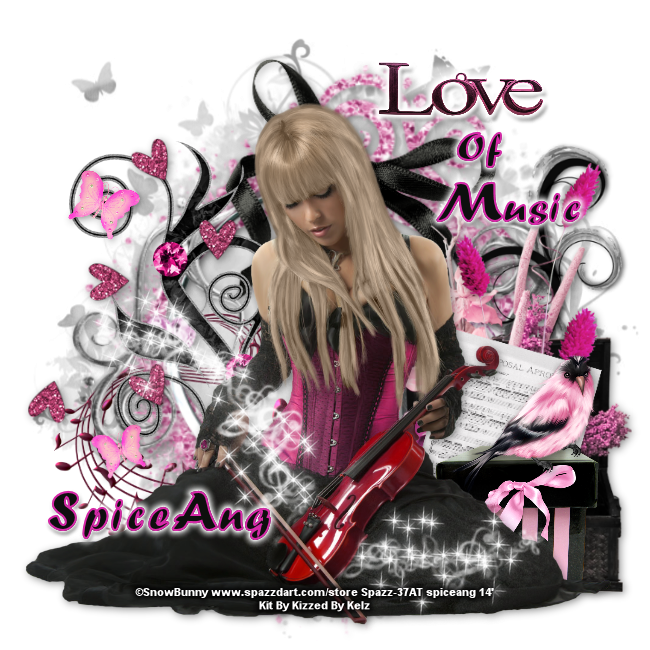 **New CT Tag** Scrap Kit of choice, I am using a PTU Scrapkit called *Simple Elegance* By PinkParadox Productions. Copy & Paste on top layer Resize & Position off to left side to your liking then use eraser to tube layer to erase what part of tube is under this layer. Copy& Paste to top layer. Resize & Position to your likes. I added mine to center of last layer. Copy& Paste to bottom layer. Resize & Position off to left side of tube. Copy & Paste to top layer. Resize & Position off to right side or where you like. Copy & Paster to layer just below tube layer . Resize & Position Flip Vertical by pressing ctrl+M and place where you like. Copy & Paste to layer just below tube layer. Resize & Position Flip Vertical by pressing ctrl+M then rotate to your liking and place to your likes. (Duplicate) then Flip Vertical ctrl+M and move to other side and resize and place to your liking. Copy & Paste to top layer. Resize & Position off to left side up on last element. Flip Vertical by pressing ctrl+M. Copy & Paste to bottom layer.Resize & Position to center of tube layer. Copy & Paste to layer just below pocket watch layer.. Resize & Position to your liking. Copy & Paste to layer just above tube layer. Resize & Position off to left side of your tube. Arrange to yoru liking. Copy & Paste to top layer. Resize & Position off to right side by owl or to your likes. Copy& Paste to bottom layer. Resize & Position Flip Vertical by pressing ctrl+M and place to your liking. Copy & Paste to layer just above last layer. Resize & Position Rotate is you wish as I have. Copy & Paste to top layer. Resize & Position to fit like mine on house layer. Copy & Paste to layer 3 below tube layer. Resize & Position rotate to your liking. This tutorial was written by SpiceAng on July 15th, 2014. Any resemblance to any other tutorials is purely coincidental! You may not copy/paste any part of my tuts elsewhere, but you may text link to them for challenges etc! Copy &Paste to bottom of canvas Resize & Position to center of canvas. Copy & Paste to layer just below tube layer Resize & Position to fit the bottom layer. Copy & Paste to layer just below Chair layer. Resize & Position to cener of chair layer. Copy & Paste to very bottom layer. Resize & Position off to left side. (Duplicate) Flip Vertical by pressing ctrl+M and love to right side to match first one. Copy & Paste to bottomlayer.Resize & Position under tube layer and duplicate as many times I you wish. Move them to your liking. Copy & Paste to layer above last sand layers. Resize & Position and do as we just did to your liking. Copy & Paste to layer just above unbrella layer.Resize & Position to center of canvas. Copy & Paste to layer just below tube layer. Resize & Position (Duplicate) Flip Vertical by pressing ctrl+M and move to opissite side to match. Copy & Paste to very top layer. Resize & Position off to left side corner to make it look like it is in the sand layers. Copy & Paste tolayer just below Sun&Snad 105 layer . Resize, Rotate & Position to left upper coner. Duplicate & Flip Vertical by pressing ctrl+M resize and move to your liking. Copy & Paste to top layer. Resize & Position to left upper corner. Copy & Paste to bottom layer. Resize & Position right top corner and place to your liking. Once we add the mask we will move this layer down below mask layer. Resize to fit canvas (Duplicate) to make darker as I did. This tutorial was written by SpiceAng on July 11th, 2014. Any resemblance to any other tutorials is purely coincidental! You may not copy/paste any part of my tuts elsewhere, but you may text link to them for challenges etc! **New CT Tag** Scrap Kit of choice, I am using a PTU Scrapkit called *Safari Expedition* By PinkParadox Productions. Full of animals & nature fun! Copy& Paste to bottom layer. Resize & Position to your likes. I added mine more to the left side of last layer. Copy& Paste to bottom layer. Resize & Postition off to right side of tube. Copy & Paste to top layer. Resize & Position just in front of tube layer as I have done. Copy & Paster to top layer . Resize & Position to just above last layer we just worked with. Duplicate and Flip Verical by pressing ctrl+M and love over to match as I have done. Copy & Paste to layer just below tube layer. Resize & Position off to left side to your liking. Copy & Paste just below your vehicle layer Resize & Position off to left side up by house layer. Copy & Paste to layer just below tube layer.Resize & Position off to left side and position to fit in from of vehicle. Copy & Paste to bottom layer. Resize & Position to your liking. Copy & Paste to top layer Resize & Position in front of tube. Arrange to yoru liking. Copy & Paste to top layer. Resize & Position to fit to grass layer. This tutorial was written by SpiceAng on July 10th, 2014. Any resemblance to any other tutorials is purely coincidental! You may not copy/paste any part of my tuts elsewhere, but you may text link to them for challenges etc! **New CT Tag** Scrap Kit of choice, I am using a PTU Scrapkit called *Punk Prom Princess* By PinkParadox Productions. Copy& Paste to bottom layer. Resize & Position to your likes. I added mine more to the bottom. Copy& Paste to layer just below tube layer. Resize & Postition off to right side of tube. Copy & Paste to layer just below Punk Prom Priness 73 layer. Resize & Position off to right side. (Duplicate) Flip Vertical by pressing ctrl+M and move just to other side to match. Copy & Paster to top layer . Resize & Position off to right side by the locker layers and place to your liking. Copy & Paste to layer just tube layer. Resize & Position off to left side. Copy & Paste just below your tube layer Resize & Position to bottom left corner. Copy & Paste to top layer.Resize & Position off to right side and position to fit with frame. Copy & Paste to top layer. Resize & Position to your liking. Copy & Paste to top layer Resize & Position in from of books or to your liking. Copy & Paste to layer just above frame layer. Resize & Position and move by apple layer. Copy & Paste to bottom of frame layer. Flip Vertical by pressing ctrl+M move it in the frame to your liking. Next, we are going to click on frame layer to select it. Grab your magic wand and click inside of the frame layer. Make sure that their are only dancing ants inside of frame. Go up to selection and pull down and select modify over to expand and lets do 10 for setting. Next, we are going to select our tube and click inside the frame. Then go delete the tube layer we started with. After you have done that go up to adjust and down brightness and Contrast over to brightness and contrast and set it to 25 and 0. I added a gray layer behind my tube just add a gray box and erase what you can see. Then in layers go to Lumirance and mess with the tube until you are satisfied with your work. L'amour de café is a coffee themed scrap kit, filled with all sorts of yummy goodness. It has various types of coffee, treats, and so much more...it has elements to create either an indoor or an outdoor scene...it has 90 elements, 3 frames, and 6 papers. Copy &Paste Resize & Position to bottom off to the center or to your liking. Copy& Paste below tube layer. Resize & Position to the center of tube or to you liking. Copy & Paste to top layer. Resize & Position move to bottom left side . Copy & Paste to layer below tube layer Resize & Position Flip Vertical by pressing ctrl+M to make cat look like it is sitting on suitcase layer. Copy & Paste to layer below tube layer Resize & Position Rotate if you would like as I did. Copy & Paste to bottom layer Resize & Position Rotate and place left side of tube. Copy & Paste to layer just blow tube layer. Resize & Position off to right side. (Duplicate) Flip Vertical by pressing ctrl+M and arrange to fit your likes next to first coffee beans layer. Copy & Paste to layer just below tube layer. Resize & Position to right side of tube (Duplicate) if desired like I have done. Copy & Paste to layer just above tree layer. Flip Vetrical by pressing ctrl+M then Resize & Position Rotate to your taste. Copy & Paste to layer just below tube layer. Resize & Position Rotate to your likings if you desire as I have mine. Copy & Paste to layer just behind your second LDC El 1 layer.. Resize & Position to fit your liking. Copy & Paste to layer just abover very last layer. Resize & Position to fit your liking. Copy & Paste to bottom layer. Resize & Position to your likes. Copy & Paste to top layer. Resize & Position off to right side of your tube. This tutorial was written by SpiceAng on July 9th, 2014. Any resemblance to any other tutorials is purely coincidental! You may not copy/paste any part of my tuts elsewhere, but you may text link to them for challenges etc! Copy & Paste to layer just below tube layer. Resize & Position off to right side of tube and place as you like. Copy & Paste to layer just below your tube layer.Resize & Position Rotate if desired. Copy & Paste to layer just above AriasSyphony 13 Resize & Position to right side of tube. Copy & Paste to very top layer. Resize & Position off to left side corner to make it look like it is on the box layer. Copy & Paste to very top layer. Resize, Rotate & Position to left upper coner. Duplicate & Flip Vertical by pressing ctrl+M resize and move to your liking. Copy & Paste to top layer. Resize & Position to your liking on the tube layer. Then use your eraser to erase around violin so it is not covering it. This tutorial was written by SpiceAng on July 8th, 2014. Any resemblance to any other tutorials is purely coincidental! You may not copy/paste any part of my tuts elsewhere, but you may text link to them for challenges etc! Emo Love is a fantastic and fun emo kit for all the emo lovers out there like me! I has candy, shoes, make up, skulls, bottlecaps, a drink, gum, a diary, stars, paint splatter, halftones, and so much more! It has 105 Elements, 3 frames, and 6 papers! Copy & Paste to layer just above tube layer Resize & Position (Duplicate 2x) Then use your eraser and select your tube layer and erase what is under El 104 you do not want. Copy & Paste to layer just below tube layer Resize & Position Rotate and place to upper left corner. Copy & Paste to top layer Resize & Position to center and off to right side. (Duplicate) make smaller and move to your liking. Copy & Paste to top layer. Resize & Position Rotate to your taste. Copy & Paste to layer just above EL El 70 layer. Resize & Position Flip Vertical by pressing ctrl+M (Duplicate) if you desire. Copy & Paste to top layer. Resize & Postion to fit your liking. Copy & Paste to layer just below tube layer. Resize & Postion to fit your liking. Copy & Paste to layer just above EL El 70 layer. Resize & Position to your likes. Duplicate and Flip Vertical by pressing ctrl+M and add to your creation as you like. Copy & Paste to layer just below El 98 Resize & Position then select El 98. Select your magic wand and click inside the element. Once you have just the inside with dancing ants go up to Selections down to Midify over to Expand. We are going to expand it by 10. Then we are going to select out arrow once you have that selected go over to layers and select tube layer and then click inside where the dancing ants are. Then delete the tube layer. Next, we are going to go up and under Adjust and down to Brightness and Contrast over to Brightness/Contrast set it to 25 and 0. Then go to up to Effect down to Photo Effects over to Black and White Film. This tutorial was written by SpiceAng on July 7th, 2014. Any resemblance to any other tutorials is purely coincidental! You may not copy/paste any part of my tuts elsewhere, but you may text link to them for challenges etc! **New CT Tag** Scrap Kit of choice, I am using a PTU Scrapkit called *Roller Girl* By PinkParadox Productions. From the boardwalk, to the skating rink...with touches of urban along the way. Perfect for those roller skating & skateboarding tubes...with tons of other options as well! Copy& Paste below your tube layer Resize & Position to your likes. I added mine to the bottom right corner. Copy & Paste to bottom layer just before mask layer Resize & Position to center and duplicate. Copy & Paster to layer just above last actionResize & Position to center of left window and add outer glow setting white color size 5 opacity 100. Copy & Paste to layer just above paper in the mask layer. Resize & Position to center. Copy & Paste just above your tube layer Resize & Position to bottom left corner. Copy & Paste to layer just above mask layer Resize & Position to your liking.